Boy, am I ready for Christmas break. Ever since my return back to Chapel Hill (aka college life), I've been... a) drinking too much hot chocolate (that's acceptable in December though, right?) b) studying for finals (I have my first two at 12 P.M. and another at 4 P.M. today. AHH!) c) decorating my room with christmas lights (here + here) and holiday decorations. Because I've been cooped up in my room procrastinating studying, I decided to take a study break to share five reasons why Christmas is my favorite holiday. 2. Holiday drinks: coffee, latte, green tea... keep. 'em. coming. Sidenote: mugs are the perfect holiday gifts - you can directly shop these mugs by clicking on them! Anyone who knows me knows my love for warm, hot drinks. Even though I drink these year round, I tend to favor holiday drinks more this time of year. You probably remember (here) that I mentioned I wanted to try an eggnog latte. I did, over Thanksgiving Break, and I'm already in LOVE with them! For those who are curious, I just heated up a mug of this seasonal nog soymilk. Easy peasy. And it's ONLY 80 calories! Hashtag gimme another cup of dat. 5. Holiday shoots are always fun for me. 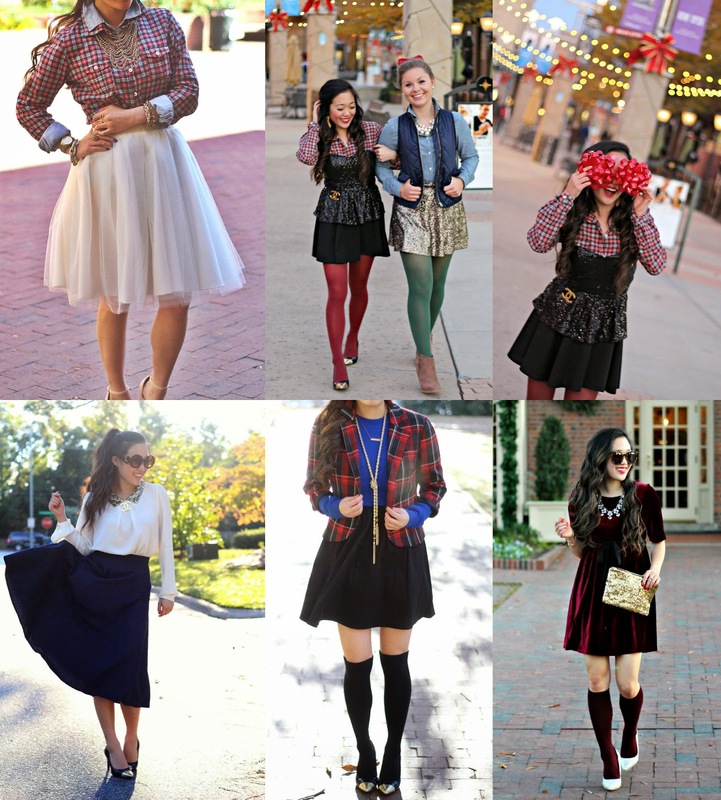 I decided to share a few of my favorite holiday attires that I've worn on the blog. I linked the posts for each image, in case you missed them! 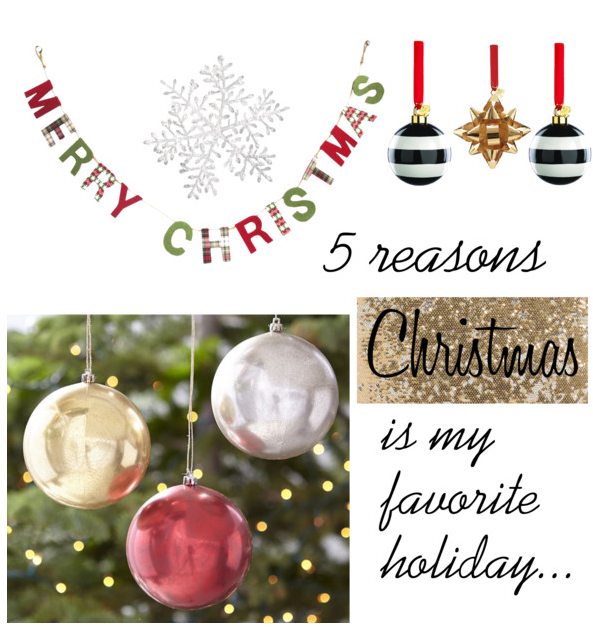 What are your top five reasons you love Christmas? Feel free to share them in the comments!